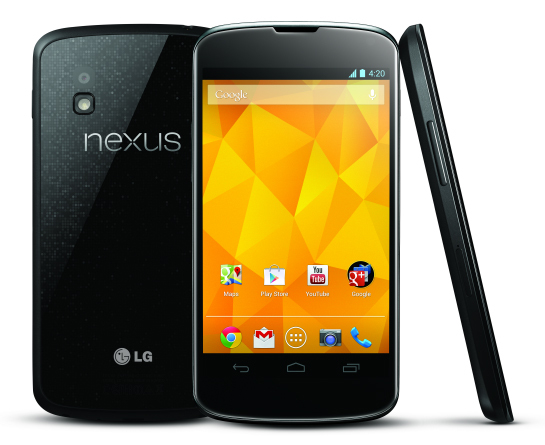 The new flagship device from Google, manufactured by LG, the Nexus 4 will be released around the world, including Canada, on November 13th. Sporting a slightly larger screen than its predecessor, the 4.7" device will run Android 4.2 Jelly Bean and will come unlocked, at $309 (as we predicted). Memory configurations will be between 8 and 16 GB's and the device will sport an 8 MP Camera on the rear, with 1.3 MP in the front. While the lack of LTE capabilities is disappointing, 2GB's of RAM, a Quad Core Snapdragon S4 Pro, wireless charging and NFC capabilities ensure that this is certainly a high-end purchase that anybody looking for a quick responding, highly capable 3D device, will surely be satisfied. No word on where the device will be offered on contract, but it's likely that several carriers will be picking it up considering the device will ship unlocked.